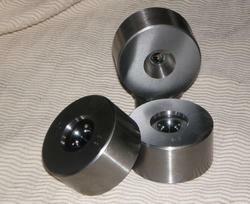 We are engaged in providing an excellent range of Wire Drawing Dies to our customers. With our years of experience & in-depth knowledge in this field, we are engaged in offering a quality-assured array of PCD Wire Drawing Dies. 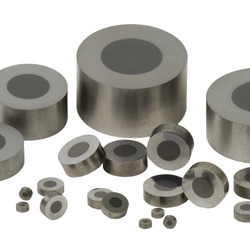 Wire Drawing Dies are tools with highly-polished, specially-shaped holes through which wire is drawn to reduce its diameter. Maximum quantity output with accurate sizes repeatedly. 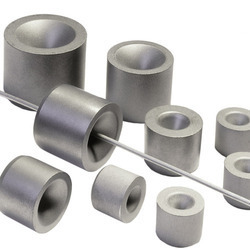 We manufacture and supply wide range of PCD (Polycrystalline Diamond) wire drawing dies which is widely demanded in commercial applications. These drawing dies are fabricated using superior quality raw material and can be customized as per the specifications of our clients. These draw steel, bronze, aluminum, nickel and other alloys. Size range from 0.025 microns to 15mm. 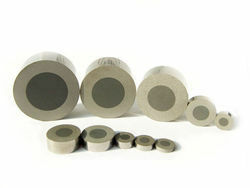 We are offering to our clients a wide range of Polycrystalline Die Blank. Compacting Dies is widely used for compacting and bunching the wires.